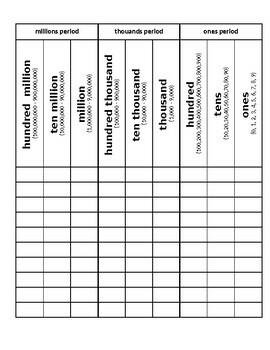 Place value chart with numbers and periods. Great to place in a sheet protector for practice over and again. Ten lines for easy grading to give as a quiz, test, or homework.